Welcome to W. Harley Miller Contractors, Inc.! 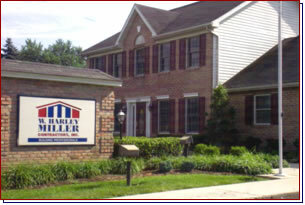 For over forty years W. Harley Miller Contractors, Inc. has been a strong and active leader in commercial construction. Covering the Quad-State area of West Virginia, Maryland, Virginia and Pennsylvania, we have planned and constructed buildings for both the private and public sectors. Our staff and workforce have years of knowledge and experience that lend to our capabilities of detailed design and planning, as well as the construction of your project from start to finish. W. Harley Miller Contractors, Inc. also maintains the expectation that your project will be built to the highest standards, and never to rest on our laurels, we are constantly expanding our base of knowledge so that we can help your project grow and utilize the latest in commercial building. Plans & Specs for the Shepherd University Burkhart Hall project have been added to our site! Contact us for permission to access those plans and specs! W. Harley Miller can help you accomplish integration goals! Looking to better serve our clients, W. Harley Miller Systems is our division dedicated to providing custom solutions for home and office systems. From Audio to Network, we can provide you with the solutions to your integration goals. 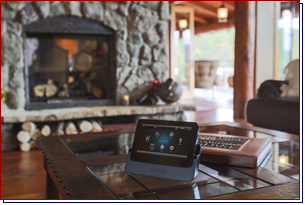 As an Authorized Dealer for the Control 4 line of automation products, we can help you automate your home or office by tying your lighting, security, mechanical and even audio/video systems together into one simple and easy to use control system. For more information visit our SYSTEMS website. Our new website has been designed to give clients, vendors and sub-contractors more access to information on those jobs we are currently working on, as well as currently bidding. Take a moment and register with the site, because with registration you can gain access to plans and specs, as well as areas to seek feedback on particular issues that may arise in a given project. 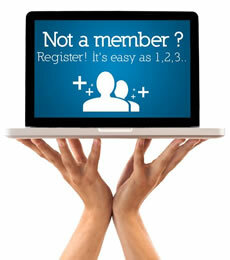 Registration is quick and easy. Simply click the "Register" link in the top right hand corner of the site and fully fill out the registration form. After submitting your registration your account will need to be authorized by us, and once it has been you will receive an email notification informing you that you know you can then login and begin to fully use the site. We are always seeking feedback on how we can make the site more helpful and useful to you, and how we can improve it to make better. So please don't hesitate to send us any suggestions or comments that you may have.